Spatial awareness is one of the fundamental decision making capabilities for human beings. Two key information technologies, Internet Geographic Information Services (GIServices) and wireless mobile Geographic Information Systems (GIS) can enhance the spatial awareness of decision makers and facilitate more efficient and comprehensive decision making processes. Internet GIServices provide a collaborative communication environment for sharing data, information and knowledge among multiple decision makers and stakeholders. Wireless mobile GIS combines both geospatial information and Global Positional Systems (GPS) coordinates from remotely located field-based personnel to spatial decision support systems (SDSS). By adopting broadband wireless telecommunication technology for connecting Internet GIServices and mobile GIS devices, decision makers can gather near real time information from field personnel and equally quickly distribute updated information back to the field. Communicated via wireless devices and web applications, interactive and dynamic geographic information services will enhance spatial awareness of decision makers, field personnel (such as fire fighters and police officers), and the general public. Internet GIServices are network-based geographic information services which utilize both wired and wireless Internet functionality to access geospatial information, spatial analytical tools, and GIS web services (Tsou, 2009). 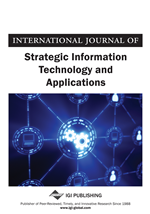 The GIS community started to research on-line, web-based, and distributed GIServices in the mid-1990s (Gardels, 1996; Plewe, 1997; Tang, 1997, Peng & Tsou, 2003). The development of Internet GIServices was motivated by the adoption of an open and distributed architecture and the re-design of GIS metadata and distributed software component frameworks. Internet GIServices are built upon a distributed computing framework, which is an example of the revolution of information technology -- from traditional architecturally closed and centralized information systems to more open and distributed information service architectures (Tsou & Buttenfield, 2002).